I have a client located in Austin, Texas and am in need of an inspector in that area. If you are interested, please contact me by e-mail(chodgson@ameriproinspect.com) or phone (904.268.9989) ASAP for details. You might try and go to TAREI and then click on find a inspector. Click on Austin and I'm sure you can find someone to help you out. Cristine was taken care of. It turns out she needed an inspector in Rockport not Austin. And Al was in Houston (thank goodness) not Austin. I got Cristine hooked up with Richard Stanley in Corpus. Thank you very much for the help! I've got another inspection in Chester, PA that I'm looking for an inspector to complete. 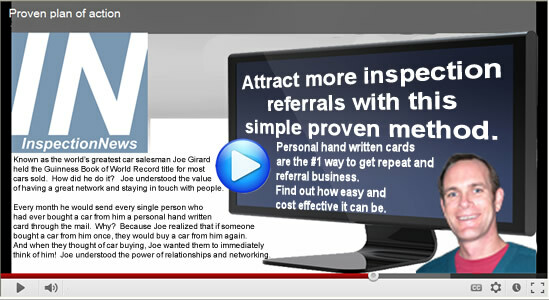 I'm getting these clients through Inspectorocity.com. I highly recommend any looking to invest in Internet Marketing to look up this site!